Rick N Roxy! — The travels, adventures, and mis-adventures of Rick & Roxy! The travels, adventures, and mis-adventures of Rick & Roxy! 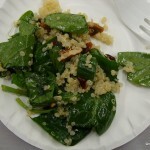 Went to the Southwest Virginia Gluten-Free Expo today! It was better than last year as there were more vendors (and more food samples!) Anyone in the Southwest Virginia area that’s trying to live gluten-free should check out next year’s expo! Mixing and storing the dough: Whisk together the flours, yeast, salt and xanthan gum in a 5-qt lidded round storage container. Combine the oil, honey and water, set aside. Dump the eggs into the dry ingredients and then stir while you pour in about 1/3 of the oil and water. (Unlike our wheat dough we do not add all of the liquid at once and stir. lf you do that it will result in lumpy dough. Continue to stir while you pour in another 1/3 of the liquid. The dough will start to come together in thick dough. Add the final 1/3 of liquid and stir until the dough is nice and smooth. Cover with the lid, but do not snap it shut. Allow it to rest on the counter for about 2 hours. 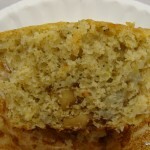 Place into dough in the refrigerator and store for up to 7 days. On baking day take the bucket from the refrigerator. The dough will be quite fluffy still and you want to try not to handle the dough too much. Just like our other dough the trick is to keep as much of the air bubbles intact as possible. Wet hands to remove 1-pound (grapefruit-size) piece of dough from the bucket. The dough will be quite scraggly when you take it out, just place it on a piece of parchment paper. Use wet hands to smooth out the surface of the dough. Cover loosely with plastic wrap and allow to rest on the counter for about 90 minutes. lf your kitchen is very warm you may only need about 75 minutes. In a large bowl mix the first 7 ingredients together (garbanzo bean flour through yeast). bread dough into the breadmaker bucket. 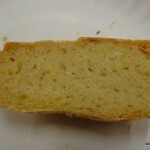 Set control for basic white bread and start. Finished loaf should be about 5 inches high. 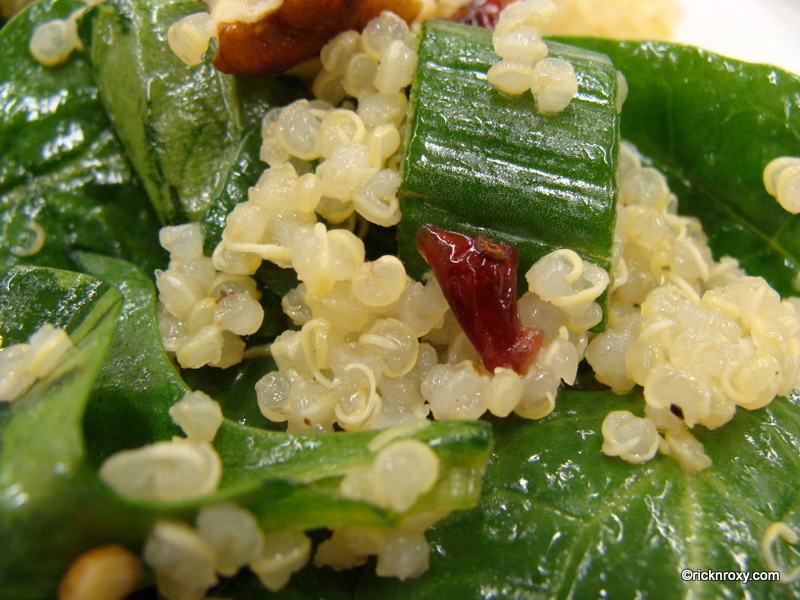 In a small saucepan, bring quinoa and water to a boil. Reduce heat; cover and simmer for 12-15 minutes or until water is absorbed. Remove from the heat; Fluff with a fork. ‘Cover’ and let stand for 10 minutes. 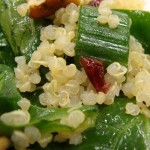 In a large bowl, combine the Warm quinoa, spinach and cranberries. For dressing, in a small bowl, Whisk the oil, orange juice, vinegar, maple syrup, garlic, salt and pepper; Stir in onion. Pour over quinoa mixture to coat. Sprinkle with pecans. 4 servings. Prep/Total time: 30 min. Cook pasta according to package directions. Meanwhile, in a large nonstick skillet coated with cooking spray, cook chicken in 2 tsp oil over medium heat until no longer pink. Remove and keep warm. ln the same skillet, cook and stir broccoli in remaining oil for 2 minutes. Stir in the mushrooms, tomatoes and garlic; cook 2 minutes longer. Add the artichokes, salt and oregano; heat through. Combine the flour with broth and wine until smooth; stir into the pan. Bring to a boil; cook and stir for 1-2 minutes or until thickened. Add parsley and reserved chicken. Drain pasta; add to chicken mixture and toss to coat. Sprinkle with cheese. Place a rack in the center of the oven. Preheat the oven to 350 degrees. Coat an 8-in. square baking pan with cooking spray. Puree the beans in a food processor until smooth. Measure out 3/4 cup. Reserve the rest of the bean puree to use in a soup, dip, or other dish. ln a heavy, medium saucepan over low heat, melt the butter and chocolate, stirring occasionally. This can be done in a microwave oven. Set aside until cooled to room temperature. In a bowl, using a hand mixer on medium speed beat the eggs. Add the sugar and salt. Beat on high speed until the mixture is ivory colored and glossy, about 5 minutes. When the beaters are lifted, drips should linger on the surface for a few seconds before disappearing. Beat in the chocolate mixture until well combined. Beat in the bean puree and vanilla extract. Mix in half the walnuts. 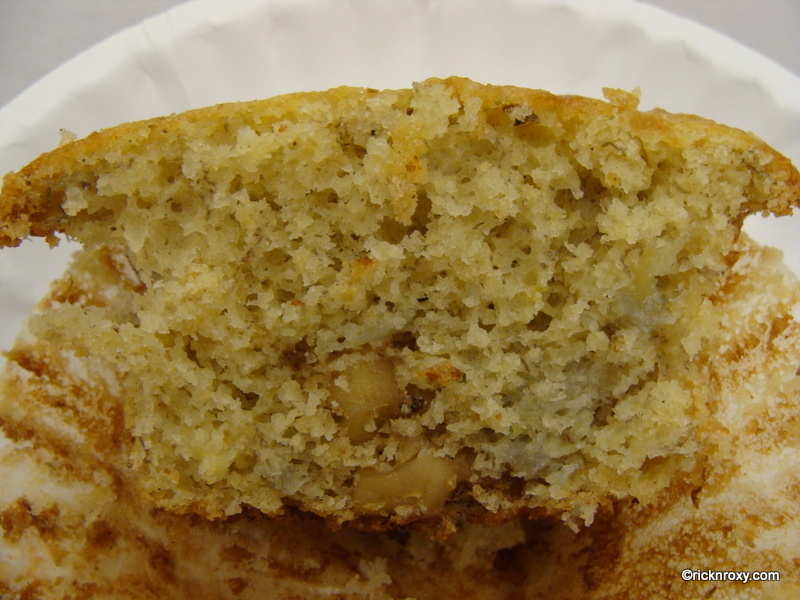 Spoon the remaining walnuts over the top, pressing them lightly into the batter. 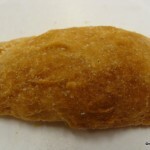 Bake for about 45-50 minutes, or until a knife inserted near the center comes out clean. Cool completely in the pan. Cover and refrigerate 6 hours or overnight. 12 servings. Prep: 20 min Bake: 20 min. In a large bowl, beat the first six ingredients until well blended. In a large bowl, combine the flours, flax, baking powder, baking soda and xanthan gum; gradually beat into banana mixture until blended. Stir in walnuts. 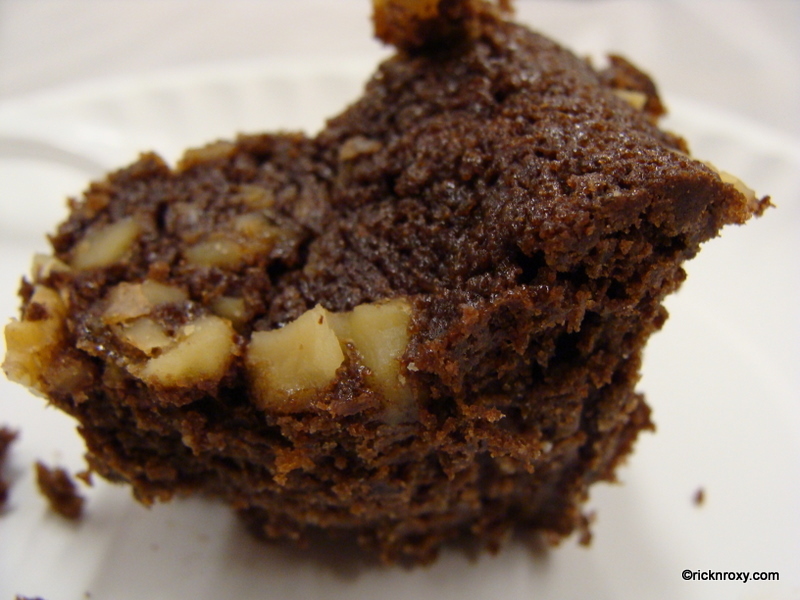 Coat muffin cups with cooking spray or use paper liners; fill three-fourths full with batter. 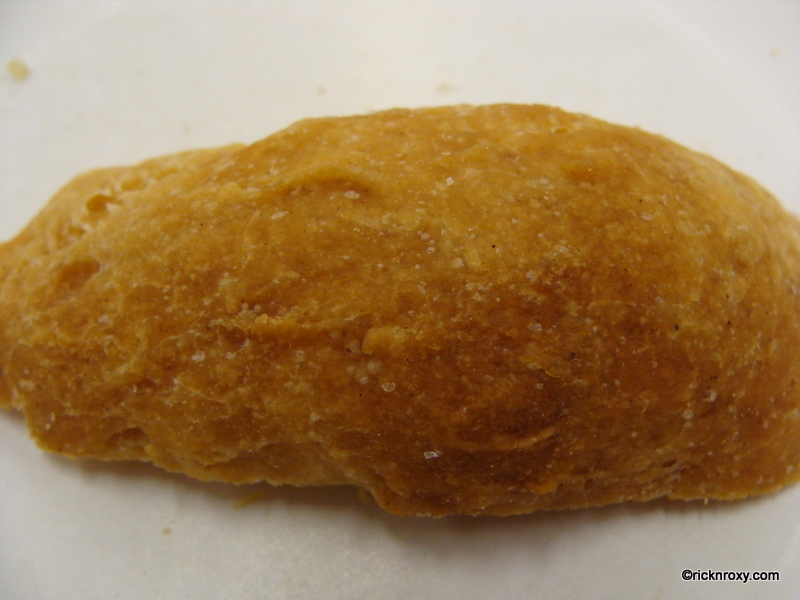 Bake at 350 degrees for 18-22 minutes or until a toothpick inserted near the center comes out clean. 5 servings. Total Prep time: 30 min. Cook pasta according to package directions. For sauce, in a small bowl, combine cornstarch and water until smooth. 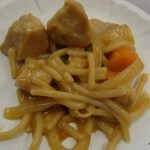 Whisk in the peanut butter, soy sauce, honey, garlic powder and ginger until blended; set aside. In a large nonstick skillet or wok coated with cooking spray, stir-fry pork in 2 tsp. oil or until no longer pink. Remove and keep warm. Stir-fry carrots and onion in remaining oil until crisp-tender. Stir the sauce and add to the pan. Bring to a boil; cook and stir for 2 minutes or until thickened. Return pork to the pan. Drain pasta; add to the pan and stir to coat. 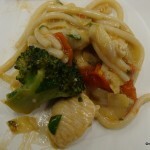 This Thursday (2/25/2010) Deb and I went to a gluten-free cooking class taught by Marie Parker. Simply, it was excellent! 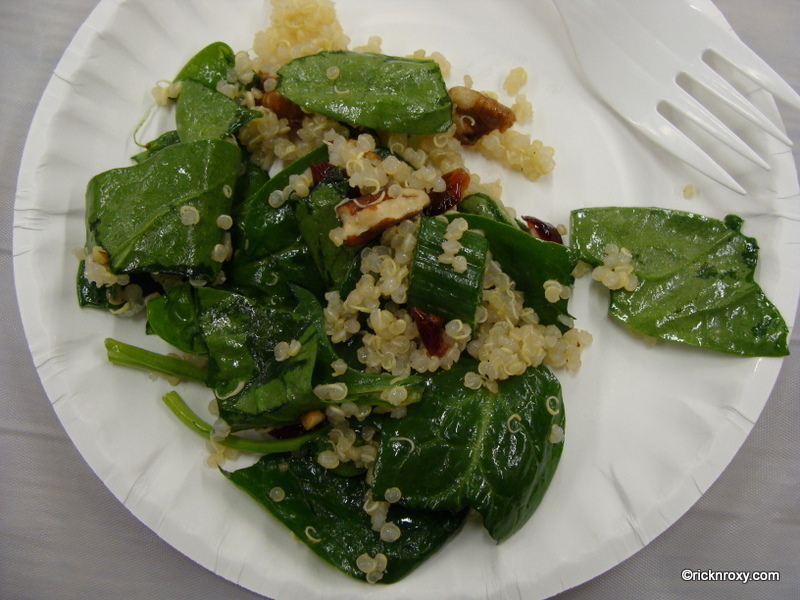 We learned many new gluten-free recipes (which we’ll post shortly) and discussed how to substitute ingredients to make other recipes gluten-free. All were very tasty and we’ll post them out on the blog soon! 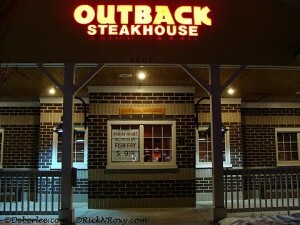 The Outback Steakhouse is another great place to eat if you’re on a gluten-free diet. They have a rather extensive gluten-free menu. 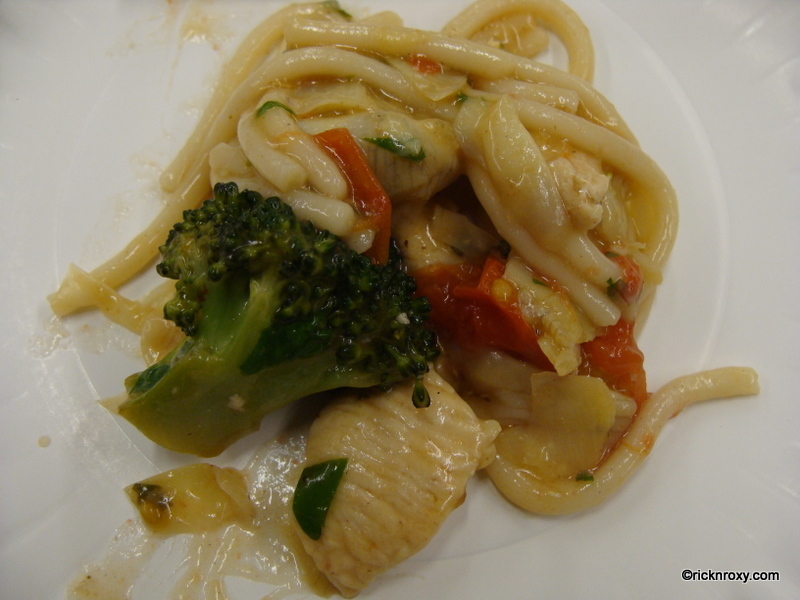 At this visit, we learned that the gluten-free menu is included as a part of their standard menu! We had a call-ahead seating reservation for 6:30, but all of us were hungry at 5:30, so we headed over to the restaurant. We had a tough time finding a parking spot, especially since many spots were taken up with piles of snow because the snow plows had nowhere to put it all. They gave us a pager and we were told that it would be a 10-15 minute wait. We only ended up waiting about 3 minutes! 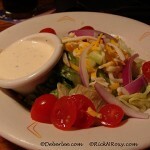 We rarely order appetizers when we eat at Outback, but Rick & I almost always get a side salad. We both order our salads without croutons and dressings on the side. When they arrive at the table, Rick gives me his tomatoes and I give him my cucumbers. 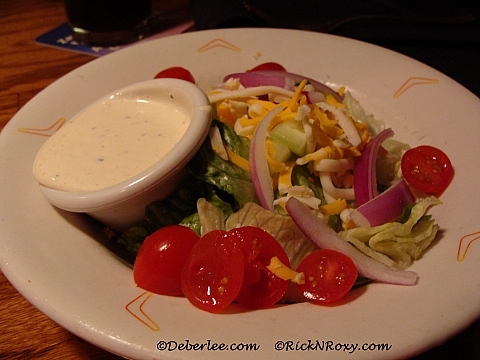 We almost always choose the same salad dressings – I like the Ranch dressing and Rick likes the Honey Mustard. 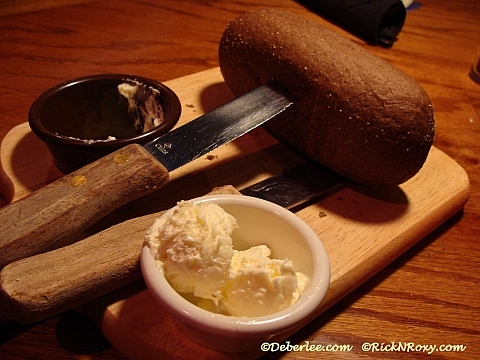 They also brought out the standard loaf of bread to the table – which always annoys me because I can’t eat any of it. 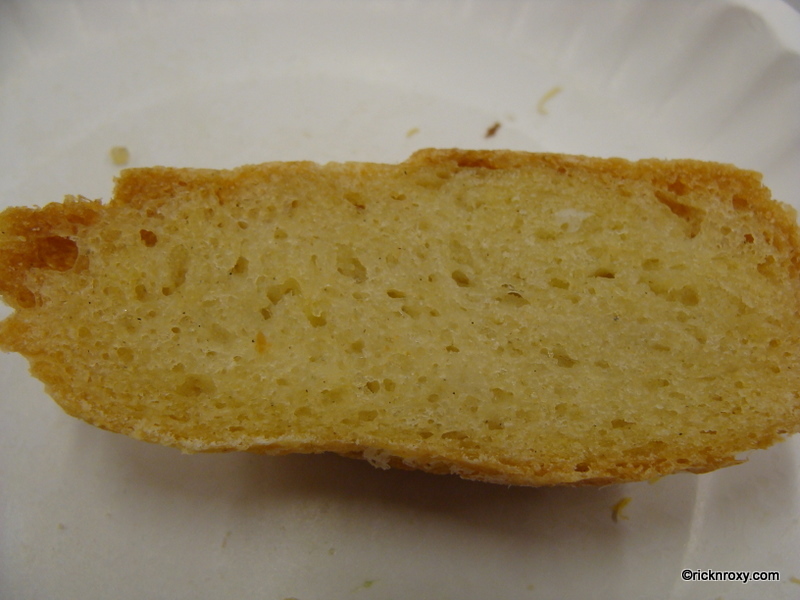 It makes me miss the gluten-free bread that I was served when we ate at the Disney restaurants. 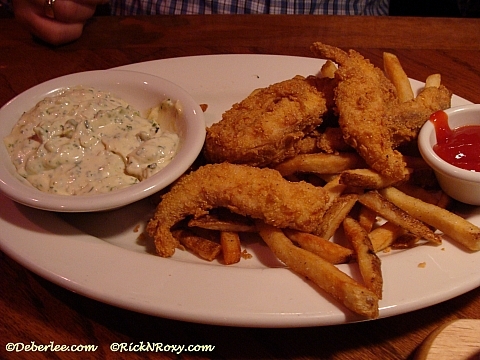 For his entree, Dad ordered the all-you-care-to-eat fish (tilapia), which he had never had before, but he had heard people talk about that type of fish. 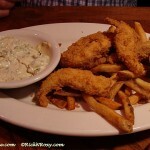 The first serving only included 5-6 pieces of the fish and smallish serving of fries. When the server came to see how we were enjoying our meal, Dad should have asked for more tilapia because he had quite a wait when the server returned and asked if he wanted more fish. When they brought it out, they brought him two orders at the same time, so that was pretty decent. 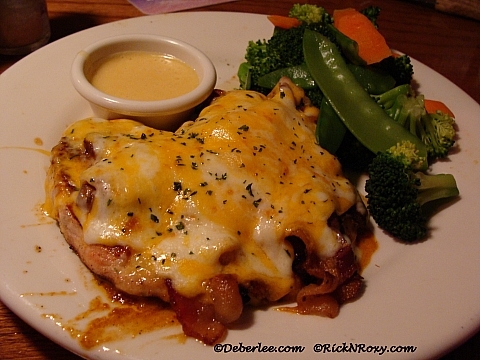 Rick ordered something new from the menu – pork tenderloin. It was served with what the menu described a “sweet tangy glaze”. 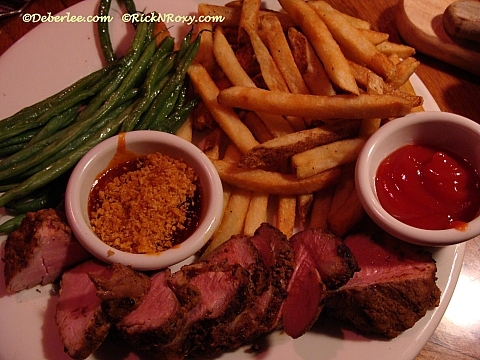 It came with steamed green beans and garlic mashed potatoes, but Rick substituted the garlic mashed for their french fries. The mean was delicious and something that he’d definitely order again. 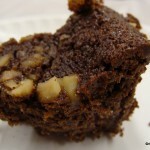 This item is on the gluten-free menu, although they say to avoid the crunchy crumb topping. I ordered the Alice Springs Chicken and steamed veggies with no seasoning. 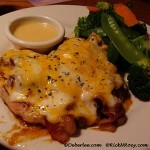 The Alice Springs Chicken at Outback is one of my favorite meals there. In the past, I ordered garlic mashed potatoes with the meal, but I’ve been calorie conscious lately, so the steamed veggies are a more healthy choice. 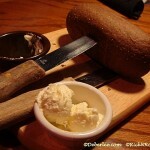 Outback also offers a flourless chocolate cake “Chocolate Thunder from Down Under”. 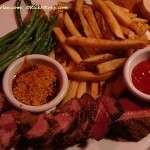 I did not order this tonight, but I have had it in the past and it is FANTASTIC! By far, the best gluten-free dessert offering in town.